Why not just tick “Don’t show related video’s” on in customize? I dont want to watch a video which is embedded on other sites as well. Honestly, I don’t watch YouTube pretty much. 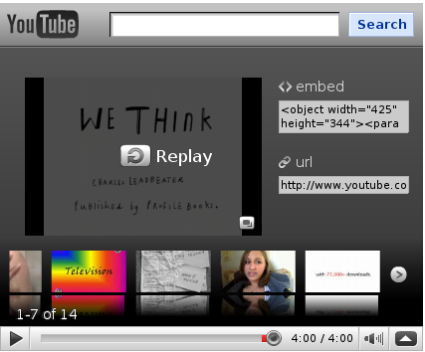 But the ideea with the search bar on the video, will do some nice things for the sites that embedd videos! I am thinking that it looks really strange.But otherwise this extra feature was seemed me cool.